When men and women’s incomes and retirement savings are stacked up against their projected health care costs and life expectancies, women are much farther behind men. At the same time, women will end up needing to make their money stretch further. A new report from Financial Finesse found that both genders won’t have enough to replace at least 70 percent of their income in retirement. But 45-year-old men today who will retire at age 65 will fall $212,256 short, while women will be behind by $268,404. The analysis looked at median incomes, deferral rates, retirement savings, life expectancy, and projected healthcare costs to determine how much the median 45-year-old man and woman would need to save in order to replace 70 percent of their income in retirement. “While both the median man and woman face a significant shortfall, the median woman has a lower lifetime income, has saved less, and yet faces higher overall retirement and healthcare costs due to a longer life expectancy,” it notes. Thanks to the gender wage gap, men make a median income of $45,292 compared to women’s $37,388. That makes it easier to save for retirement, both because a given percentage of a man’s paycheck that gets put away in an account will be higher than a woman’s, and also because men have more financial cushion to use for savings. Men’s median retirement savings, then, is $63,875, while women’s is $43,446. But women end up living longer and spending more on their health care. If they both retire at age 65, the average man can expect to live another 19.3 years, but a woman will live for another 21.6. And in that time, a man will spend a projected $275,035 on health care while a woman will spend $294,975. Add it all up, and women will face a shortfall that is 26 percent bigger than men’s. A big factor is a longstanding problem for women of all ages: the gender wage gap. Women who work full-time, year-round make 78 percent of what men make, and the gap is far larger for women of color. That means women will make an estimated $530,000 less over their lifetimes. Then they end up getting smaller Social Security checks based off of their smaller payroll contributions. And while men and women participate in retirement plans at the same rate and women even save more of their salaries, since those salaries are lower they end up with less money in their accounts. Their lower earnings also lead to financial stress that can demote retirement savings on women’s list of financial priorities. While both genders rate it as the number one concern, women are much more likely to follow that up with prioritizing managing their cash flow and getting out of debt. The gap in retirement savings, coupled with women’s longer lifetimes, puts them in a very tough financial situation in their golden years. 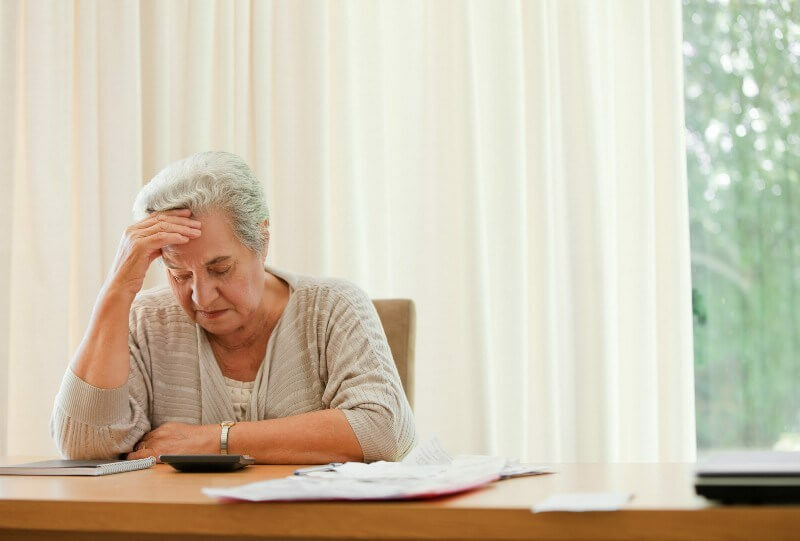 Women over the age of 65 have a poverty rate of 11.6 percent, compared to men’s rate of 6.8 percent, and they make up more than two-thirds of all the elderly poor. And the number of elderly women living in extreme poverty has been climbing recently. That leaves them exposed to scams, foreclosure, and other serious financial trouble. Beyond potential solutions for closing the gender wage gap over women’s lifetimes, there have also been proposals to expand Social Security so that it offers more of a cushion in old age. And some have discussed including Social Security credits for caregivers who have to take time out of the workforce to care for a family member, such as children or elderly parents, and miss out on payroll contributions. Those who take that kind of time off are overwhelmingly women.